The sheer number, variety and quality of sampling instruments and libraries currently on the market is nothing less than staggering. Orchestral samples have never been better and strange hybrid libraries, sampled vintage instruments, and cinematic sound effects are plentiful. 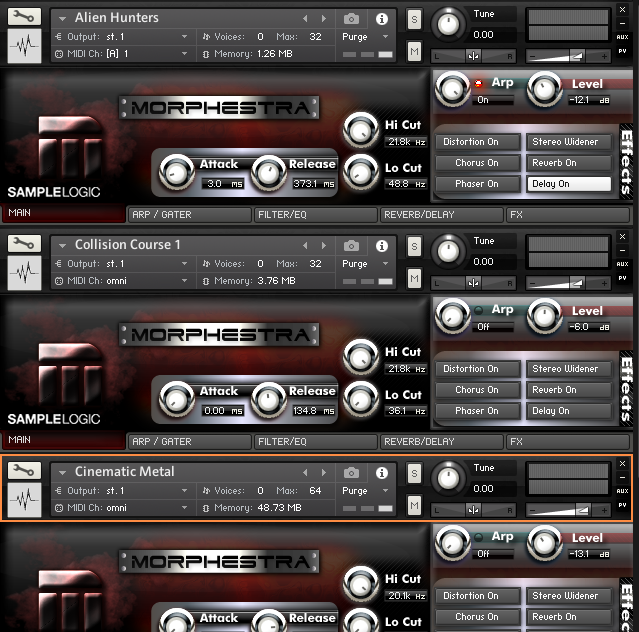 In the last few months, I’ve been reviewing products such as Analog Strings by Output, Ensemblia 2 Percussive by Cinematique Instruments, and Morphestra 2 by Sample Logic. Look for more in the coming weeks including reviews on Dronar by Gothic Instruments, Collision FX by Sound Yeti and others. 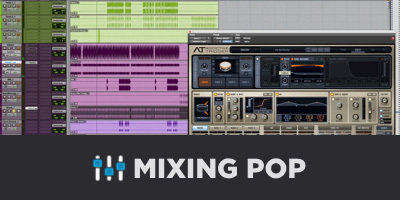 Although the instruments mentioned above are all based primarily on Native Instruments’ Kontakt, many libraries are packaged as Ableton’s Sampler or Simpler instruments, Logic Pro’s EXS24 and others. There are several terms particular to sampling technology that are common to all these platforms and most share some common traits in terms of signal path and basic operation which are outlined below. Samplers differ from synthesizers in that the fundamental method of sound production begins with a sample or recording, which could be of an acoustic sound or instrument, electronic sound or instrument, ambient field recording, or virtually anything else. Samples are normally triggered by some sort of MIDI input such as a note on a keyboard. A zone is a location where a single sample is loaded. A sample can be mapped across a range of notes on a keyboard. There will be a Root key associated with each sample which, if triggered, will playback the sample at the same speed and pitch at which is was recorded. Typically, playing other keys in the mapped range for a particular zone, will either speed up or slow down the sample resulting in a change in pitch associated with the key. Depending on the library, zones may occupy just one or two keys, with a separate sample for each pitch. Some samplers allow you to keep pitch or time/speed components independent for a specific zone. For instance, if the sample has a rhythmic component that is synced to tempo, you would want to keep rhythmic part of the sound fixed while playing other keys for pitch changes. Likewise, you may want to keep pitch fixed in certain circumstances. There will invariably be an envelope section to control amplitude attack, decay, sustain and release parameters. This envelope may also be linked to other controls simultaneously such as the cutoff frequency of a low-pass filter. Forward: The sample plays to a designated point and jumps back to a beginning point and repeats until the key is released. Backward: The sample plays to a designated point and reverses back to a beginning point before jumping back to the first point and repeating. Palindromic: The sample plays to a designated point and reverses back to a beginning point before reversing again, etc. (forward and backward). Number of Repeats: Loops can be set to repeat as long as a note is sustained or for a specified number of times. The effect of the Release stage on Loop playback can be to continue the repeat during the release or may cause a jump to a release portion of the sample. In more complex sampler instruments there are often Release Samples specific to the type of sound and usually intended to create a better sense of realism. An example would be the sound of an acoustic piano key or Rhodes key that is heard as the key released. Sometimes the entire sample is looped, but more often than not, loop points are set somewhere internally and a crossfade function is used to eliminate any clicks or discontinuities that may occur. As with any synthesizer, samplers will usually have controls for pitch bend range, polyphony, transposition and MIDI settings. The speed at which a piano key is hit or the loudness of a trumpet note or a snare hit will have ramifications for the spectrum of the sounds as well as the amplitude. Library developers take this into account and record each note at a variety of dynamics from pianissimo to fortissimo. These zones can then be triggered by a certain range of MIDI note velocities accordingly. Some sampling engines like Kontakt, allow for crossfading between velocity layers to make transitions smoother and less noticeable. Groups are one of the most powerful components of a sampler instrument. The ability to group zones with common attributes expands the functionality of an instrument tremendously. An obvious application of grouping would be string articulations. There are numerous ways to play a note on a violin. Legato bowing, spiccato, pizzicato, up/down bowing, sul tasto, sul ponticello, or as a harmonic to name a few. In more advanced string libraries, zone groupings based on articulations can be superimposed over the same range on the keyboard. Then a Key Trigger (set somewhere below or above the actual range of the instrument) or a MIDI controller like a Mod Wheel can be set to activate a certain group of samples. This allows you to use the same instrument and MIDI track to switch between two or more articulations. The Group change trigger or CC data would be recorded in the same track, similar to a patch change in a synth. Some libraries will have several samples for the same note or event to create a more realistic sense of variation or humanization. The samples may cycle through the series before repeating or be played randomly each time a note is triggered. Most advanced samples have on-board effects processing such as filtering, EQ, dynamic processing, saturation and spatialization. 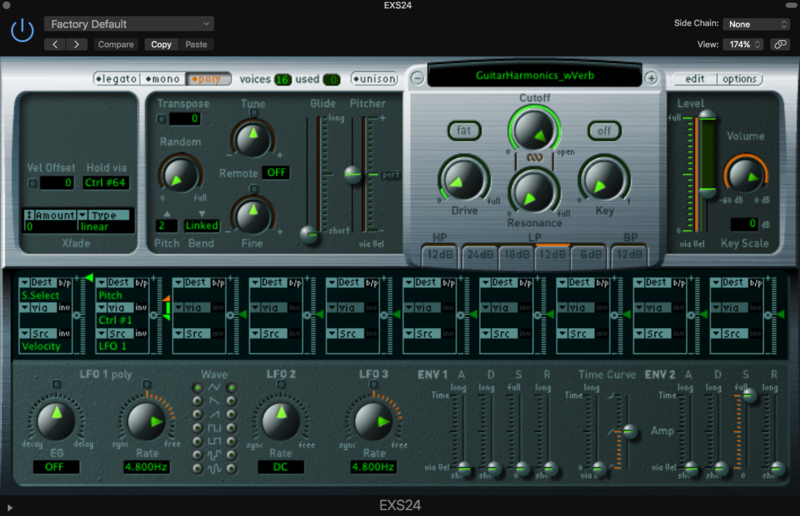 This makes it possible to drastically change the sonic result and/or customize existing presets to suit your own needs. As with synths, having a built-in FX section simplifies things significantly, since you don’t need to worry about external effect chains to duplicate the sound in a different context. In addition, some instruments make full use of Key Triggers to change effects parameters on-the-fly, enhancing their playability in real time. Samplers may have all the same methods of modulation you would find in a synthesizer to affect parameters. 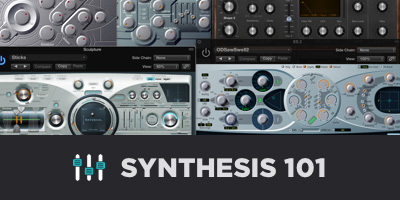 These can include LFOs, Envelopes, Step Sequencers and many idiosyncratic modulation methods. Some instruments allow triggering of several samples at once, in some cases as many as eight or more separate samples. This can create long, evolving and complex soundscapes as a single key can initiate the organic unfolding of several extended samples. 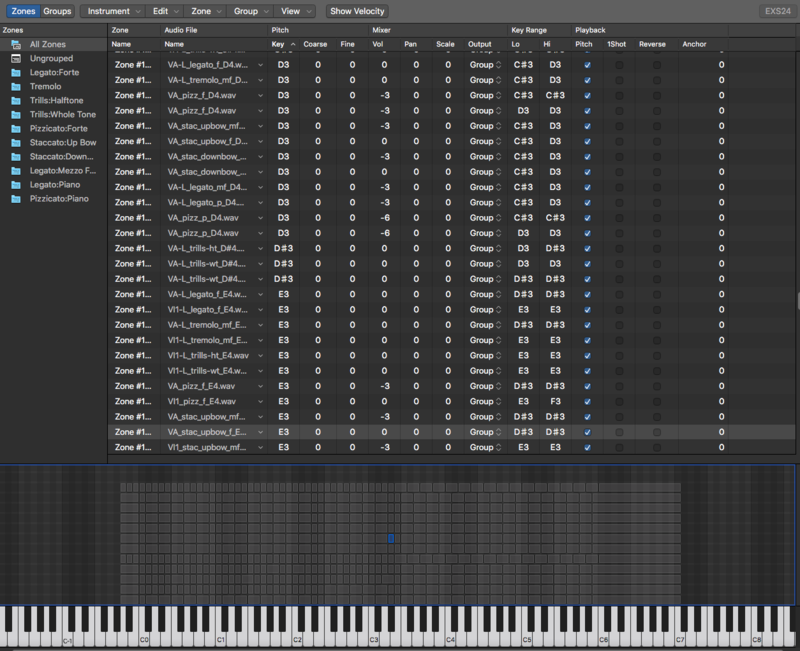 Instruments such as Dronar become playable, not in terms of pitches on a keyboard, but by means of real-time parameter manipulation or crossfading between several samples. 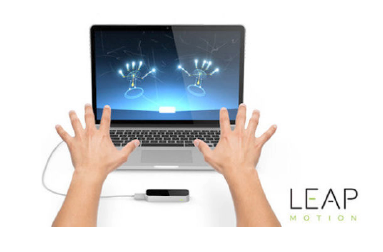 Gothic Instruments has gone so far as to integrate LEAP Motion 3D and GecoMIDI software to control its interface. You can conceivably hit one key, hold down the sustain pedal and play the instrument without ever touching a device. Look for a full review on the Dronar modules soon. Multis are several instruments or instantiations of a sampler that can be triggered together or are mapped to specific ranges on the keyboard or activated by several different instruments based on MIDI channel. These are great for layering and creating complex sounds or for triggering very different sounds on the same track. There is a wide range of graphic user interfaces for sampler instruments. 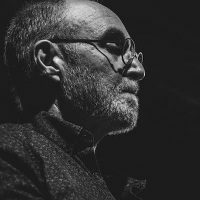 Arguably, Native Instruments’ Kontakt has attracted the largest number of third-party developers, no doubt due to its robust scripting environment. 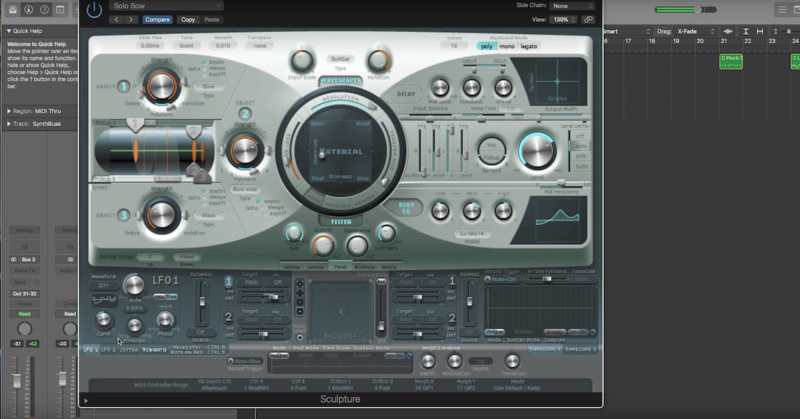 Interfaces in Kontakt may have several pages or screens, custom graphics, animated visualizations, etc. Developers can implement any number of internal signal processing methods and paths, automation, complex sequencing engines, etc. Sampling instruments can be enormous with tens or potentially hundreds of Gigs of associated data. Many devices will have sample variations or loading methods to limit both CPU load and RAM usage to accommodate larger sessions with multiple instruments. 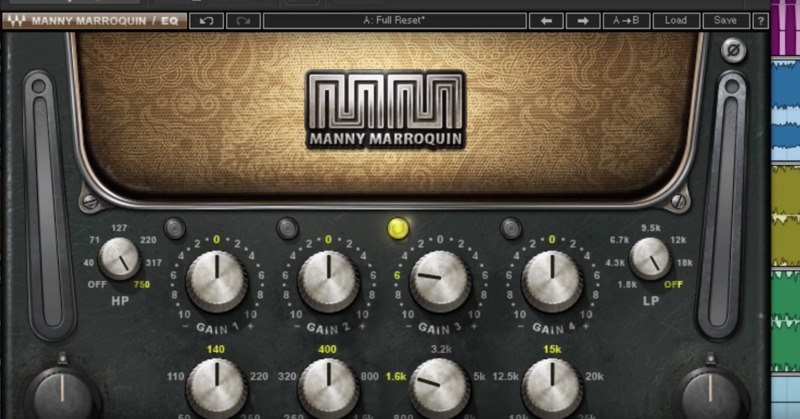 It is worth the time to investigate how your particular sampler engine deals with these issues so you can optimize your particular setup for the best glitch-free results. SSD Drives: One of the best investments I’ve made recently was in an External SSD Drive (Glyph), which has drastically reduced load times for larger instruments. These are definitely recommended if you plan on using large sample libraries in your work. I use separate drives for samples, working sessions and applications. 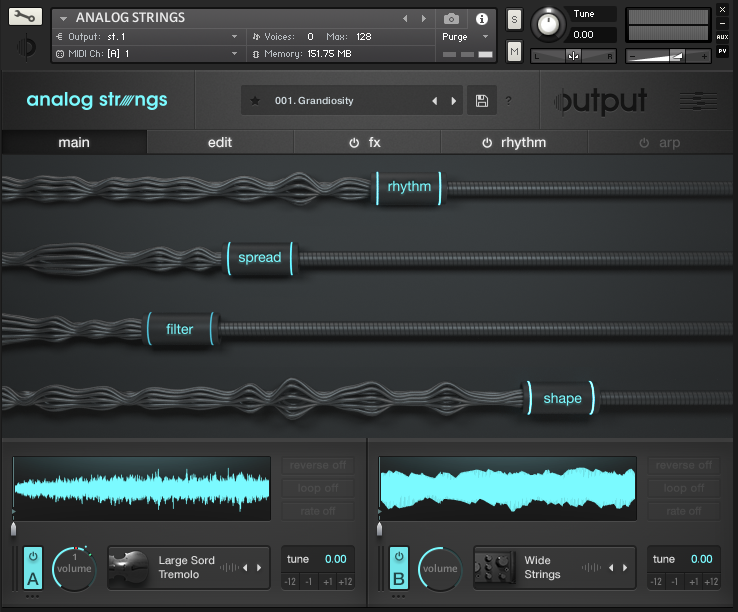 To this point, I’ve been referring mainly to existing sample libraries and instruments, but custom instruments can be created with extreme ease in applications like Logic Pro. For instance, using the “Convert to Sampler Instrument” command in Logic will instantly create an EXS24 instrument from an existing audio file and either map the entire file on a specified key range or slice it up across the keyboard. Although these automated processes are rarely perfect, they are fast and give you a good place to start in creating a custom instrument. If you plan on using your own samples, it pays to tweak and quasi-master sounds in a consistent way using a waveform editor such as Adobe Audition. Having healthy sounds to start with will make the whole process go that much smoother. 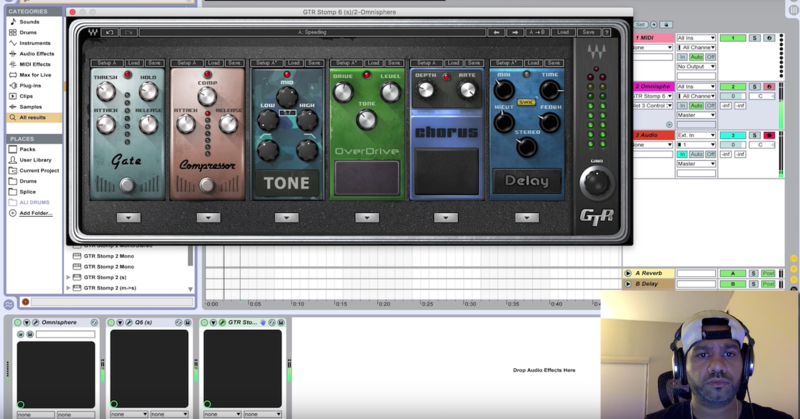 See my article on the Fundamentals of Waveform Editing. 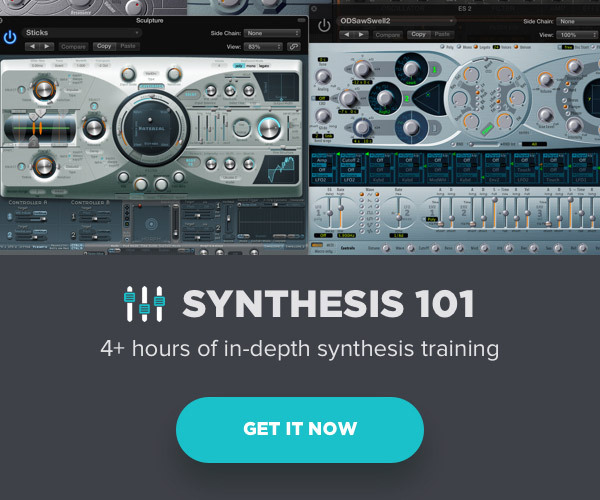 Whether you’re looking to explore the myriad sampler instruments currently available or are interested in starting from scratch, I hope this article has clarified some of the underlying concepts. Sampling instruments and content have never been better and according to Ray Kurzweil, technology accelerates exponentially and feeds on itself. Audio utopia or doomsday … you be the judge.